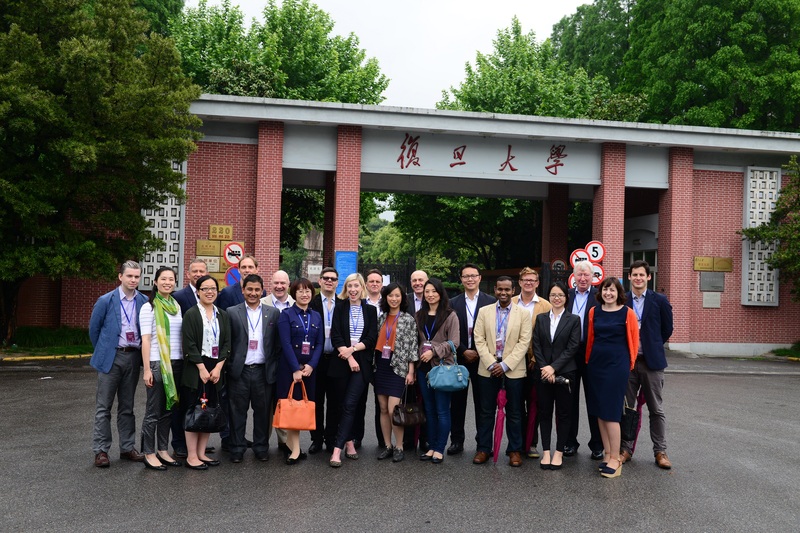 I was lucky enough to be invited to the China Marketing & Strategy Programme this month, hosted at Fudan University, in Shanghai. It was a great event, sponsored by the London Mayor’s Office, in conjunction with the UKTI and KPMG. The week long course was intense and covered all the key areas necessary for brands wishing to enter the Chinese market. What came out of the event was that entering China is by no means a straight forward process for Western businesses.The rule book in the west can be thrown out the window, but of course the rewards for those brave enough to make the leap to the East are well worth the effort. – Localise Strategy – Make sure strategy is properly localised for the Chinese market. The example of EBay’s failure to develop a local strategy for China was highlighted as the main reason for their ultimate failure in China, much to Alibaba’s gain. EBay failed to develop a website designed specifically for a Chinese audience, instead using their one-size fits all web interface, which wasn’t suitable for a Chinese audience. Likewise their failure to understand the Chinese consumer preference for pricing to go down, not up, as is the bidding process on EBay, was another contributing factor to their failure to crack China. – The Importance of the Joint Venture – Those Western brands enjoying success in China are also those brands that fully understand the importance of entering the Chinese market in a joint venture capacity. The joint venture model allows western brands to tap into market/ consumer insights that would otherwise be hard earned. Walmart were used as an example of a Western retailer entering China in 1996 in a JV. Walmart now have sales exceeding $7B in China. Many Western brands enter the Chinese market in this capacity. One key theme is that whilst brands do enter China with a familiar brand identity, often that is the only thing that is the same as their Western counterpart. A visit to KFC in China for instance is a wholly different experience to that of visiting a KFC in the US or the UK. The restaurants are larger in China, the food is locally sourced, with different ingredients, and the focus is on people eating in as opposed to taking away, to better fit the Chinese culture. 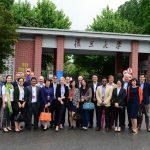 – The Importance of Marketplace – We learnt about the importance of Marketplace in China. Marketplace refers to B2C eCommerce channels, similar to Amazon in the West, such as Tmall and JD, these being key retail channels to reach the ever-expanding online market in China (650 million and rising). Tmall accounts for c 50% of all online clothing/ footwear sales in China. One key point, that may surprise Western brands, is that gaining visibility of Tmall can be relatively straight forward. Western brands can get on Tmall Global for instance without having a dedicated presence in China. This is good news for Western brands, wishing to assess the market before making a full-scale leap into this market. – Copying is the highest form of flattery – China is well know for its relaxed laws on fake products, though this is changing. One key characteristic of the Chinese product market is the prevalence of close-copies to Western-counterparts. In name and in design. The Iphone is widely copied for instance. The automotive industry is not immune to this legal, and widely practiced form of plagiarism. For instance the Land Rover is a big seller in China, and there is a home-grown brand called the Land Tiger, which is almost exactly the same in look, and branding. What this reiterates is the need for any Western brand entering this market to pay due diligence to the need to protect IP thoroughly, and to not underestimate the local markets ability to copy, unless IP protection is bullet proof. 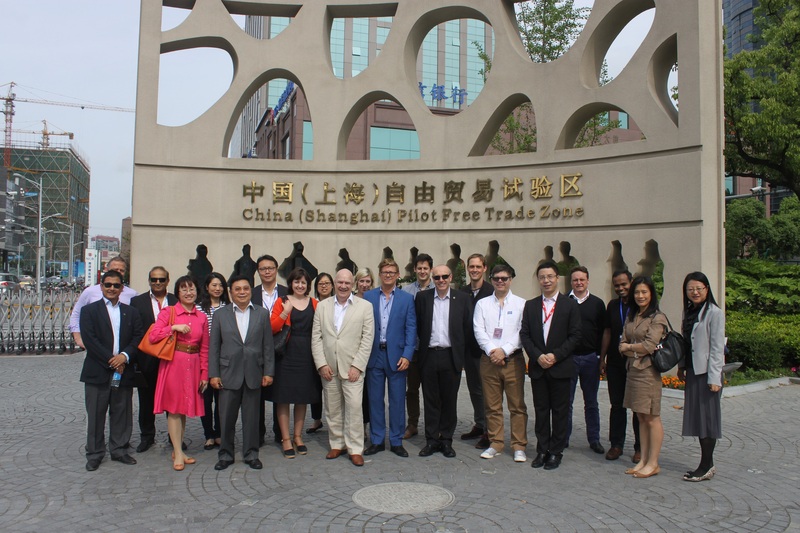 – Shanghai Free Trade Zone (SFTZ) – One of the highlights of the event for me was a trip to Shanghai’s Free Trade Zone. The SFTZ was set up in 2013, and is the first of its type in mainland China. The SFTZ covers an area of 46 square miles in close proximity to Shaghai’s port. Commodities entering the zone are not subject to duty and customs clearance, as is the case outside the zone, making trade more open. The Zone also cancels out a number of financial requirements for setting up a company in China, including the minimum registration capital of RMB 30,000 for limited liability companies, the RMB 100,000 minimum for single shareholder companies, and the RMB5 million minimum for joint stock companies. Moreover, under the SFTZ’s new capital registration system, foreign investors are no longer required to contribute 15-percent capital within three months and full capital within two years of the establishment of a foreign invested enterprise. In addition to the financial freedoms, the SFTZ also has a simplified procedure for foreign investors to establish a company in China. The “one-stop application processing platform” unique to the Zone requires that all application materials be submitted to and handled by the Industry and Commerce Authority (AIC) in the Zone. The relevant approval and filing procedures are then conducted via inter-departmental circulation, after which the various licenses and certificates (including the business license, enterprise code certificate, and tax registration certificate) are issued to the applicant(s) by the AIC. This means that applicants may obtain all the necessary documents for company establishment in one place, in contrast with outside the Zone where applicants must run around between different authorities for the issuance of various certificates. There are a raft of other inducements for Western businesses to set up in the Zone. 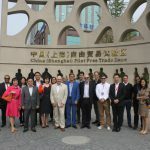 More information can be accessed here:- http://en.wikipedia.org/wiki/Shanghai_Free-Trade_Zone. The Zone makes setting up and doing business in mainland China far easier for Western businesses. It has also set a precedent for Western businesses to trade in China, and hopefully paves the way for an opening up of the market. All in all it was a very useful session, and thanks to the Mayor’s Office, the UKTI, KPMG and Fudan University for making it all possible.